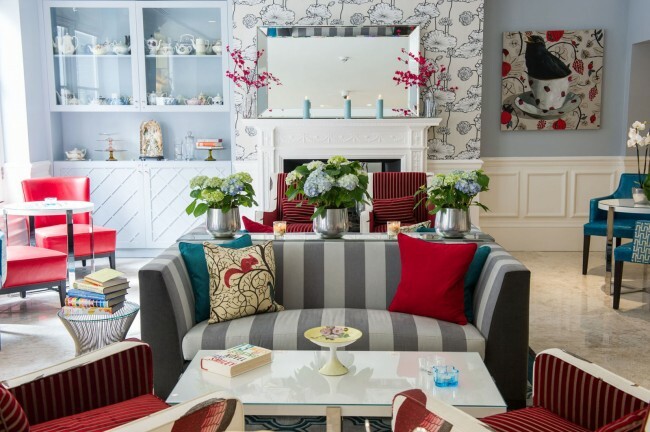 Let’s explore the lighter side of interior design. 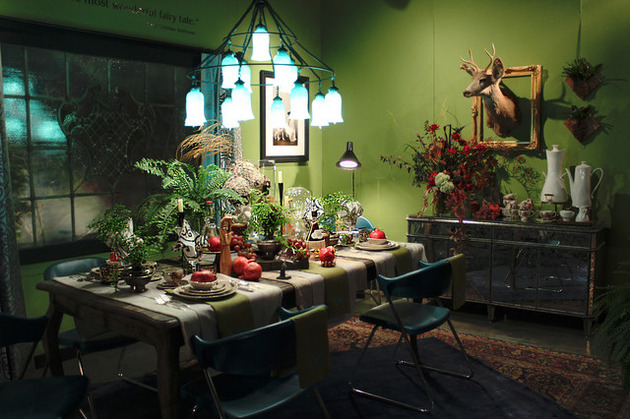 Use your imagination and infuse your home with personality by celebrating your unique style. 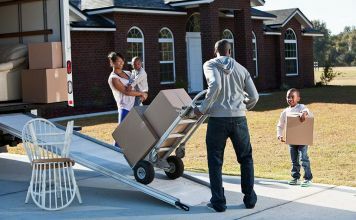 The wonderful, whimsical home is a perfect way to do this. 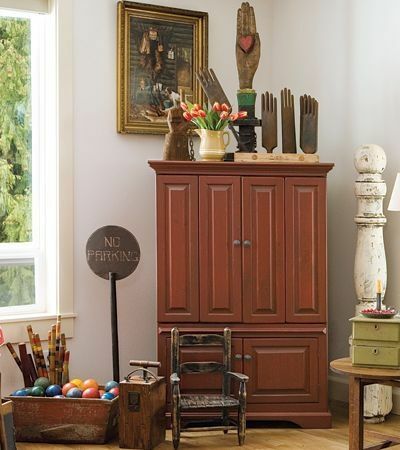 By adding humor and the unexpected to your interior, you can capture this warm endearing style. Spark some fun with whimsical interiors. 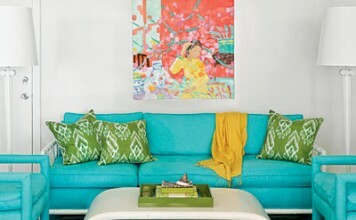 Fun, vibrant décor is a great way to capture a bit of whimsy in your home. Play with color and see where it leads. 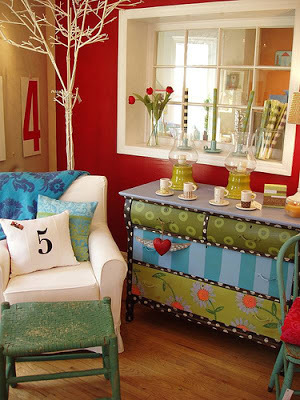 Paint furniture in bright colors and patterns. 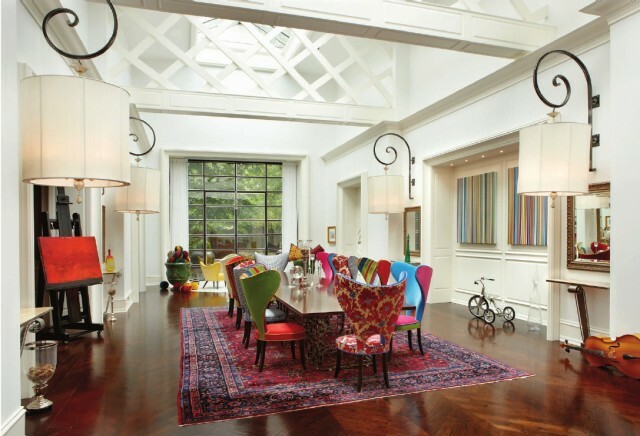 Use bright colors in accents and incorporate vivid patterns. 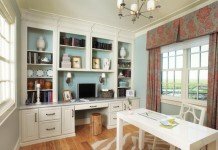 Display groups of unique items. Remember those antique toys your grandmother gave you? Take them out of the attic and proudly display them on a table or shelf. If you have a collection that you’ve always thought too silly or weird but loved just the same, bring it out and put it on display. 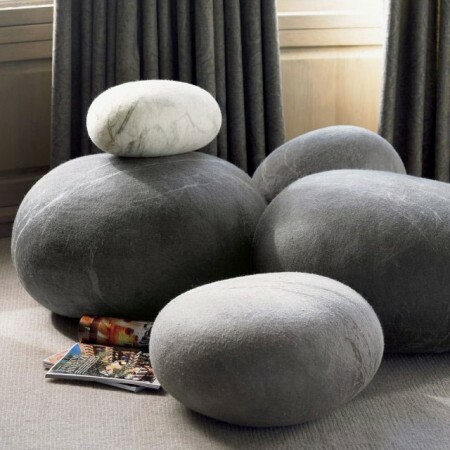 Look for fun finds, such as stone pillows. These are great for a child’s room or to enjoy in the family room. 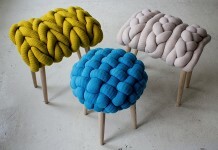 They add a quirky sense of fun and make great throw pillows or even a unique seating option. A pair of unicorn heads to greet your guests? Why not! A teepee in the living room? Sure! 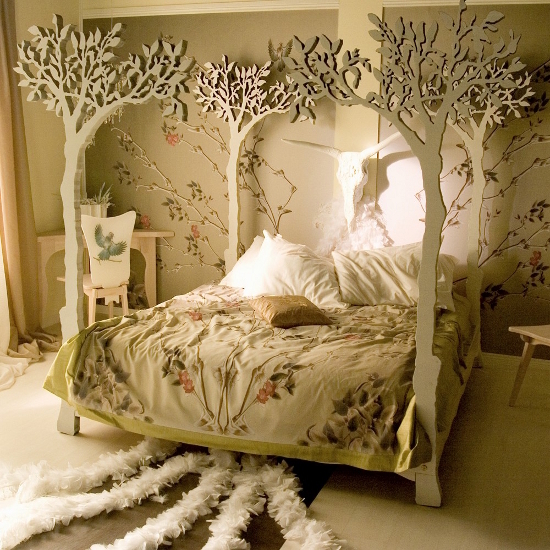 Escape to a fairytale world of your own making with whimsical accents and furniture. 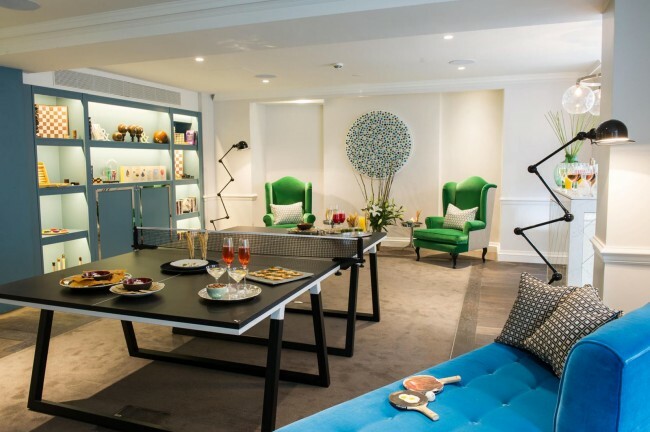 Who says you can’t use a ping pong table as a dining table? If you’ve ever dreamed of sleeping in an enchanted forest, make it so with a wonderfully whimsical bed of trees. Have fun with words. Take your favorite phrases and use them to decorate walls, pillows and other textiles. 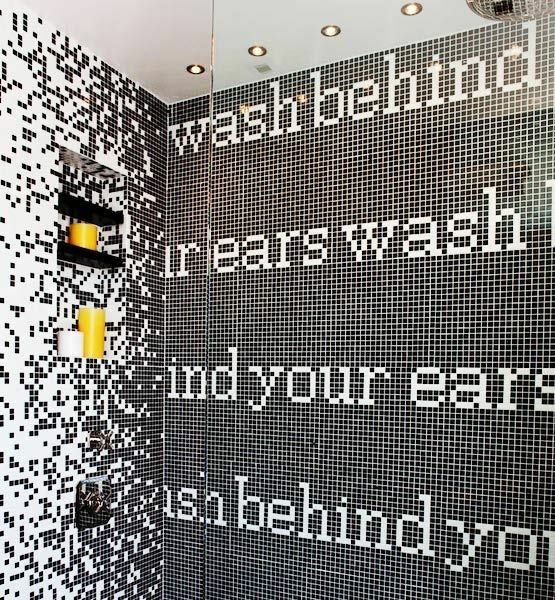 Apply them as a unique tile design in the shower. 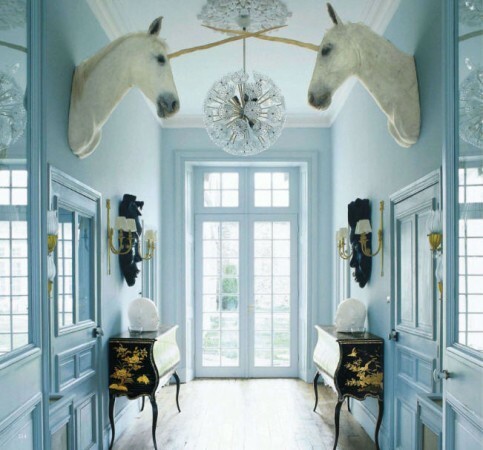 The key to whimsical interiors is to not take decorating too seriously. Enjoy the process. 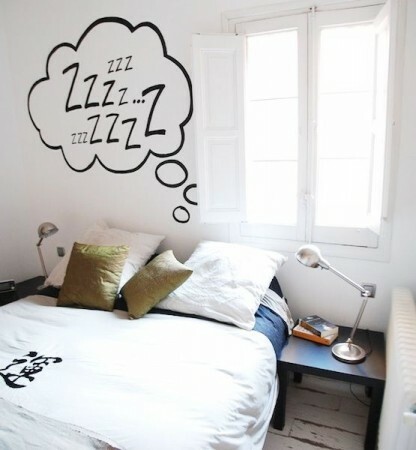 Personalize your rooms by incorporating your own unique idea of whimsy. 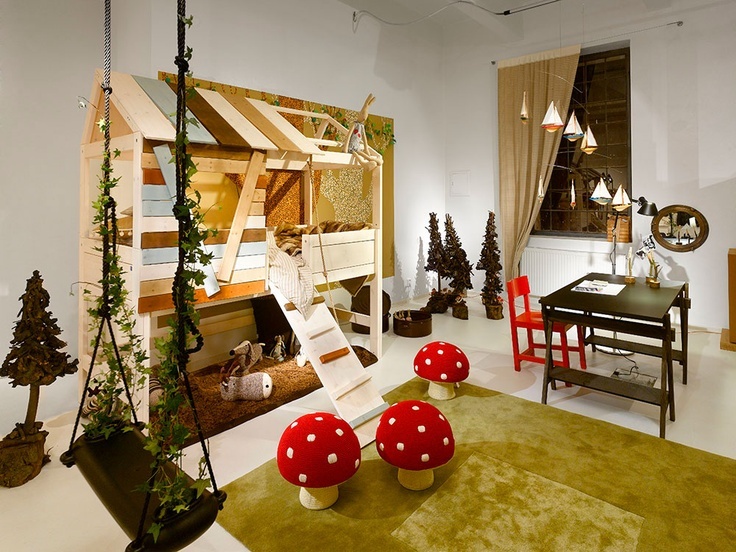 The whimsical home is fun, lighthearted and warm. It is brimming with creativity and life. 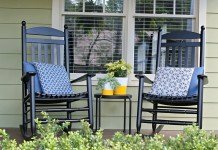 Take a look around and see where your decorating can use a bit of the unexpected.